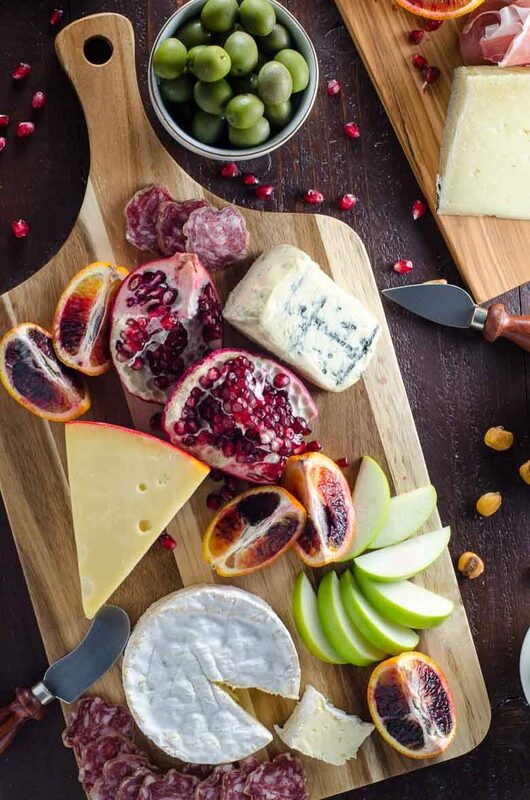 A show-stopping cheese board may be the easiest possible contribution to a holiday party. Here's how to make one in about 15 minutes. 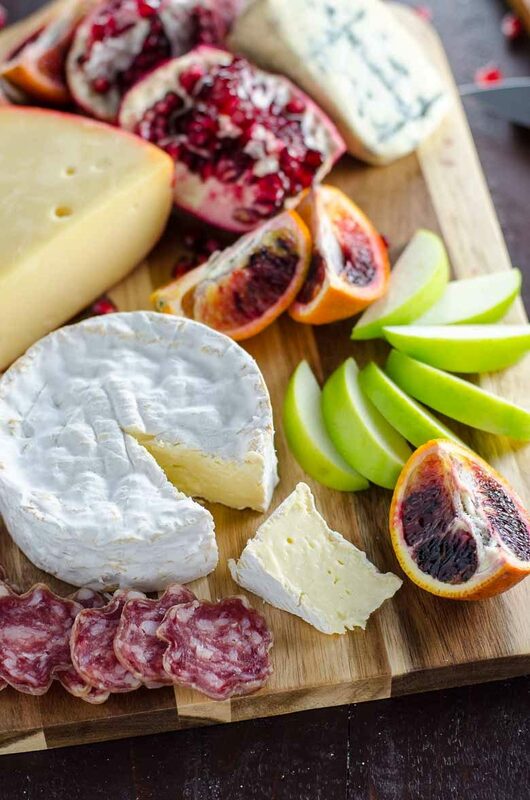 A variety of flavors, textures, and colors will bring your cheese board to life. 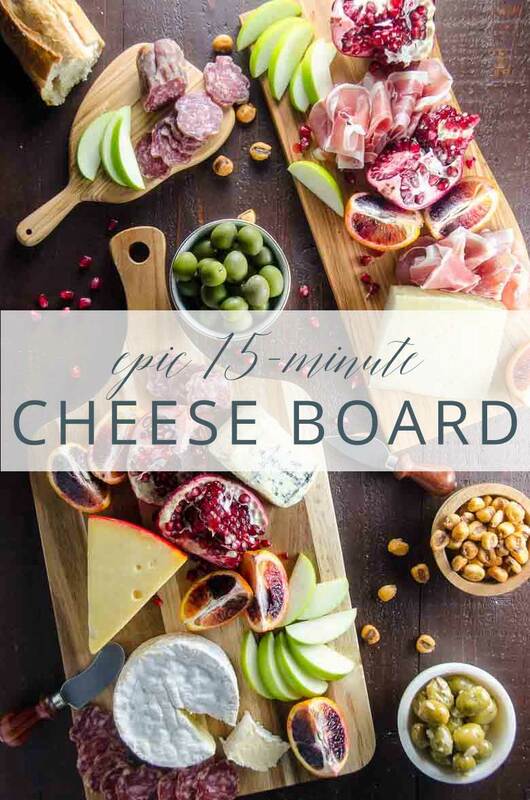 A truly epic cheese board is quick, easy, and impossible to ignore. ? 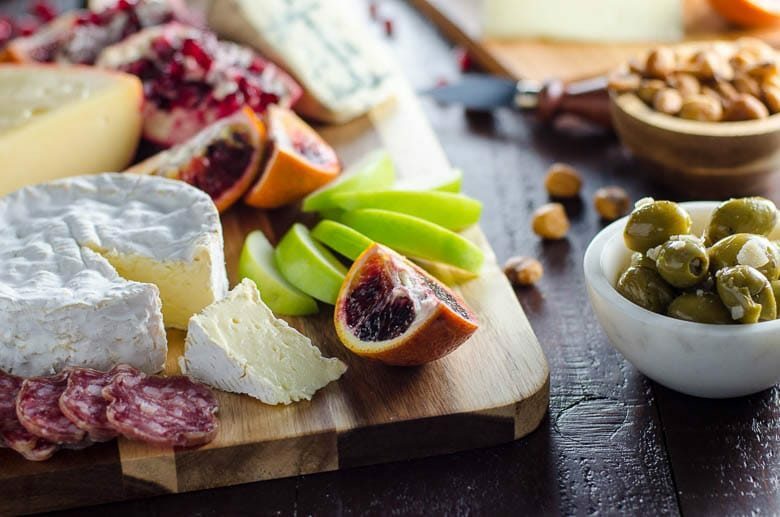 But the beauty of a good cheese board doesn't end — or even begin — with its namesake ingredient. 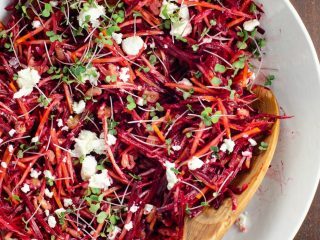 It begins with the perfect ease of picking up a few beautiful ingredients and assembling them in 15 minutes or less. And it ends only with your creativity. This being your cheese board, you are of course welcome to design it any way you like. I even collected a few examples for ya. 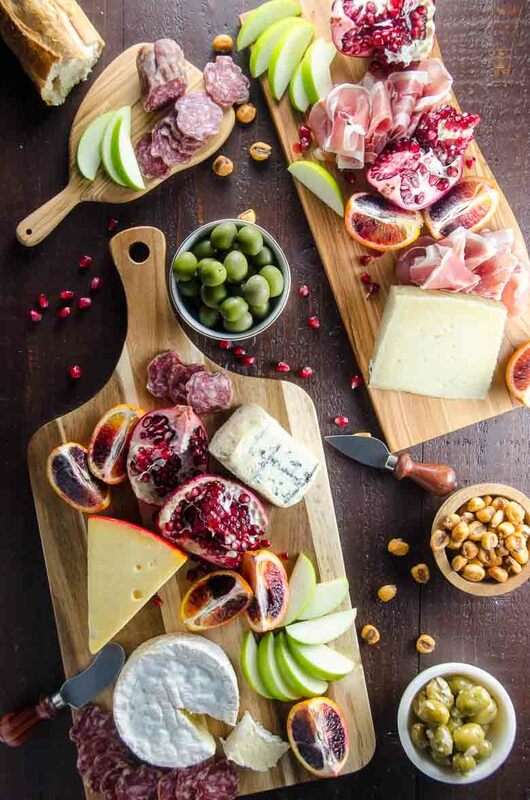 But here's my favorite thing: the current trend in cheese boards is to make them basically the bedhead of appetizers. Nothing too structured. Make it beautiful, but make it seem like it just woke up, rolled out of the fridge looking like this and arrived at the table ready to biz-lady its way through the best day ever. Look, I even tossed some corn nuts. That sounds like a euphamism, but it isn't. For a group of 10-ish people and to provide some nice variety, start with four cheeses of 8 to 12 ounces each. The most important thing is to select cheeses you like to eat. 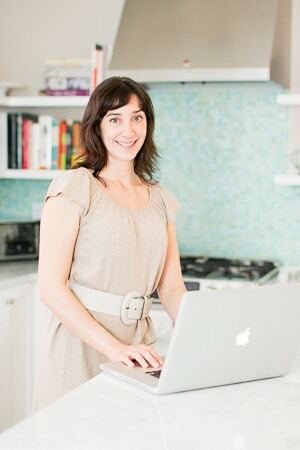 Beyond that, aim for variety in type of milk (cow, sheep, goat, even nut), strength of flavor, softness or firmness of texture, and style of cheese. You can select cheeses from one region or aim for variety here too. For this board, I used a small wheel of Camembert (mild flavor, soft cow's milk cheese from the Normandy region of France), some 3-month aged Manchego (medium flavor, semi-hard sheep's milk cheese from the La Mancha region of Spain), a mild and creamy Danish blue cheese (medium flavor, semi-soft, cow's milk cheese) and a good old red wax Gouda from Holland (semi-soft, cow's milk cheese), requested by the 8 year old, which turned out to be wonderfully nutty like more aged Goudas usually are, and was the star of the show. Obviously I did a fairly crap job of achieving variety of milk type, but no one seemed to care. Point being: break the rules all you like, and there will still be cheese. While it's perfectly fine to add only sweet or only savory elements to a cheese board, I find it's easiest and most crowd-pleasing to do a little of both. For savory additions to this board, I opted for two types of green olives, again following the principle that it's a good idea to choose what you like to eat. We all love Sicily's Castelvetrano olives, those plump green beauties with a slightly sweet flesh. And recently we've been obsessed with a marinated garlic and lemon olive situation that Whole Foods offers, so of course some of those made the cut as well. I don't always add meat to a cheese board, but when I do, I add prosciutto and hard Genoa salami or sweet sopressata made by smallish companies that treat their animals well. Also, corn nuts, which seem way fancier when they're called Spanish Quicos. They add a welcome crunch to the mix. Just do it. Helloooo, fruits and jams. In the winter, I like to include a couple of quartered blood oranges, some tart green apple slices, and a pomegranate that I've quartered medium-savagely and removed some of the arils from to toss faux-relaxedly onto the table. The shapes and colors add a whole lot to the presentation with only about three minutes of work. I haven't included any jams here, but we often use fig jam or quince paste. For one of these bedhead cheese boards, it's fun to use cutting boards and bowls that you've been bequeathed by grandparents or salvaged from estate sales. No, I'm totally kidding -- I don't have any of those AT ALL. What I do have is some suggestions on how to make it look like you have a few those treasures. Step 1: click through on these links, which literally all lead to the Target website, where I've purchased all of these boards and bowls within the past few months. Step 2: Answer the door when the delivery arrives. That's it. Yay. And that, my friends, is seriously all there is to it. Get crazy with the slicing. Don't leave a whole wheel of cheese untouched or your guests may be shy about cutting into it. Put out a few cheese knives of various types -- blunt ones for soft cheeses, sharp ones for hard cheeses, end of story. Be generous with the wine and the baguettes or crackers. Have fun. A show-stopping appetizer for all your holiday party needs. This beauty can be assembled in about 15 minutes, but no one would ever know. See the notes in the post above for specific cheese, olive, meat, fruit and equipment suggestions. On a countertop or table, arrange a few nice-looking boards and three small bowls. 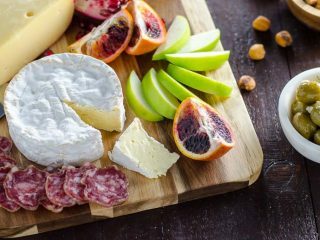 Arrange cheeses, meats, fruits, olives, bread or crackers and other ingredients as if they just rolled out of fridge into their awesome, awesome life. Share with as many friends as you can find, or just a few if that sounds like more fun. Serve with plenty of wine.